For those who own or operate a dental office, having access to the absolute best in equipment is of paramount importance when it comes to meeting the needs of your clients. 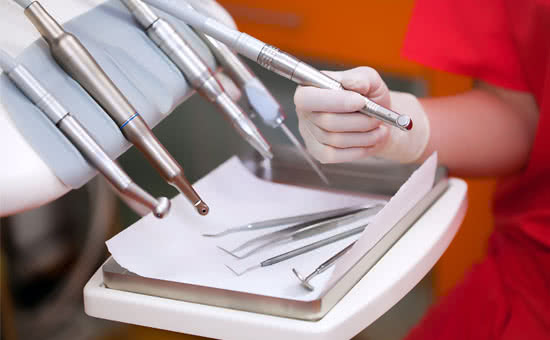 One of the most frequently used tools in a dental office is the dental handpiece delivery unit – a piece of equipment that provides compact power for a variety of rotary or suction-based tools. These indispensable units are used in dental offices throughout the world, and like any other piece of equipment they may need to be replaced from time to time. If you are considering replacing one or more of your dental handpiece delivery units, or you simply want to upgrade to newer or more efficient units, there are several options available on the market today. Once you have decided on replacement units that will integrate with your existing dental practice, you’ll need to make one additional choice – to purchase outright or to lease? Keep cash on hand: One of the most powerful benefits of leasing equipment versus buying with cash is the ability to keep cash in the bank that can help manage monthly expenses or unforeseen financial concerns. Monthly obligations like payroll, occupancy, utilities, loan payments, and more are made that much easier when there are sufficient funds in the business bank account. Qualify in minutes: You won’t believe how quickly you will receive a lending decision when you partner with us. Completing our online application takes only minutes, but you can also contact us directly and one of our helpful loan specialists will walk you through the application each step of the way. Once your application is complete you will simply need to provide us with some basic documentation that will help us to make an informed and responsible lending decision. You will receive a lending decision quickly, and we will fund your approved equipment finance or leasing program in a matter of days. Enjoy flexible terms: Unlike banks or credit unions who must adhere to incredibly stringent guidelines, we make our own lending decisions – and that includes an ability to create loan or lease terms that are customized for each individual client. Ask your loan specialist about our 90-day deferred payment program, our variable payment option, and the variety of available lease programs. Work with a leader: For nearly 20 years, we have worked with small businesses across a variety of industries to fund more than $1.5 billion in small business financing and leasing solutions. We have helped thousands of clients from all 50 states, and in the process we have received a 95% customer satisfaction rating and an A+ rating from the Better Business Bureau. High approval rates: One of the most frustrating aspects of applying for small business financing through a traditional lender is the low approval rate. At National Funding, we strive to say yes more often than not by fully analyzing the company’s stability and potential – rather than just looking at the owner’s credit score. We are excited that you have chosen to partner with us to create a customized dental handpiece leasing program, and we are confident that you will find our terms both flexible and affordable. Contact us today to get started and we will assign a dedicated loan specialist who has experience in the dental and medical fields, all the better to help you create a personalized leasing solution.